The season 2010-11 contained everything you could possibly expect to experience as a Pie. No other team could take you less than ten minutes from defeating the world's richest club and then finish up ninety minutes from relegation. No one else could run through four managers a season and still only just survive in the league. No one could bring in such a huge array of strikers and yet struggle to score. Hardly surprising then, that a survey said recently that Pies' fans were more stressed than any other. Too right ! Welcome to the campaign 2010-211 ! The season began, as usual, with the arrival of a new manager to replace the successful Steve Cotterill who didn't want to stay with such a small playing budget and who moved to near-bankrupt Portsmouth....hmmm. OK. Welcome Craig Short, one time player and a favourite with the fans. Craig explained how he had rung Mr Pavis to ask him for a job in management and was told to go away and get some experience. Eight months later, he came back, having managed half a season with Hungarian champions, Ferencvaros, and got the job. With the goal of being in The Championship for the 150th year, it was important to get a underway early but last season's form didn't carry over and the team made a poor start. Continuing mediocrity forced owner Ray Trew into taking decisive action. Exit the inexperienced Short and enter the Big Name. Paul Ince had done well with MK Dons but after an unsuccessful with Blackburn, he needed to repair his reputation. He didn't. 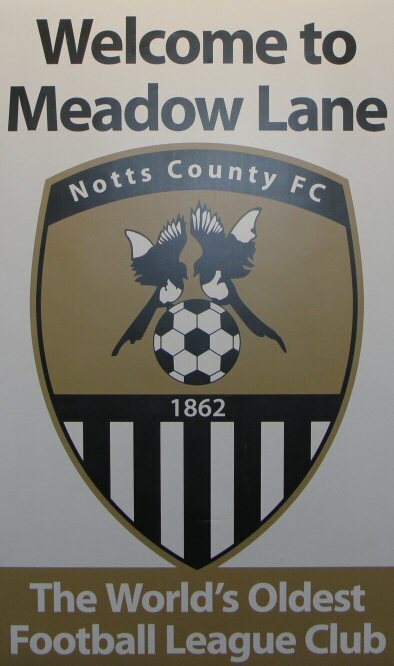 There was a lot of shouting and bringing in of new players (including his own son Thomas) but with Hughes increasingly side-lined and no Rodgers, Notts resorted to playing Westcarr up front .Even so, as in days of yore, they still found difficulty in scoring. The players form, initially buoyant, seemed to drain away and Ince's prediction that his was a squad to avoid relegation rather than gain promotion began to look more like a tactical instruction. Where he did succeed, though, was in the cup. Faced with the possibilities of TV exposure and rubbing shoulders with his old international mates, Ince was, once more, ''The Guvnor' as his team defeated Premiership opposition for the second year running. An away victory at Sunderland meant a dream tie, at home against Manchester City and two televised contests which saw The Pies eventually outclassed but only after coming so close to knocking out the eventual winners. 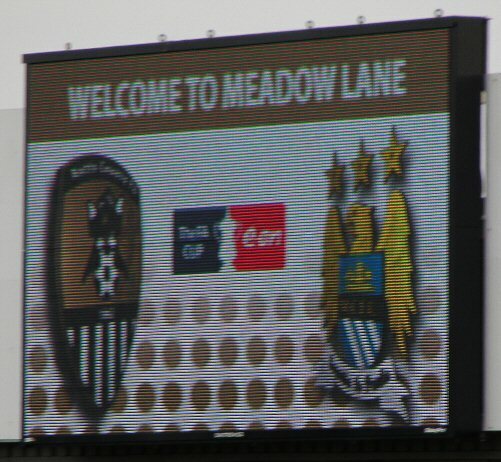 Cosmetic changes to the ground included a long-awaited new scoreboard (above) and a welcoming sign. Too many clubs were also given a complimentary three points when they visited. Relive the season with the comfort of knowing it was all OK in the end. Press the little buttons left.